In the 1990’s I worked for Hughes Aircraft of Canada developing large scale air traffic control systems for international customers around the world. Air traffic control systems are large, complex, mission critical systems. After extensive requirements gathering and analysis an overall architecture for the air traffic control system was defined including complete hardware and software requirements. Development of something so large required the overall architecture to be broken down into subsystem components which were then distributed to different teams for development. The lead systems engineering team had the responsibility of integrating developed subsystems into the final air traffic control system and ensuring that the overall architecture design and requirements were met. The early days of open licensing and open resources were primarily shaped by innovators and early adopters using Creative Commons licenses and creating open resources as independent individuals. What I see now is open moving from an individual activity to a large scale system wide activity similar to systems engineering. As open matures a more holistic approach is being adopted involving many people working together. Increasingly I see a systems approach to open as being the most strategic and impactful. A systems approach takes a multi-stakeholder perspective, strategically considering all the stakeholders in a value chain and how they can work together to achieve a common goal. This shifts the focus from individual adoption of open practices to system-wide adoption. A system working together can achieve greater impact than an individual. The BCcampus Open Textbook Summit held in Vancouver 16-17-Apr-2014 brought together a wide range of organizations and people who are all collectively working on adopting, adapting, and authoring open textbooks for students. 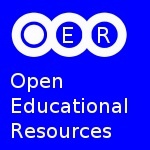 An open textbook is a textbook licensed under an open copyright license (such as Creative Commons), and made available online to be freely used by students, teachers, and members of the public. While online versions of open textbooks are available for free if students want hard copy they can print out their own or order a low-cost print version. The BCcampus Open Textbook Summit featured speakers representing a wide interdisciplinary group of expertise including government & institution senior administrators, faculty, students (and here), librarians, authors, publishers, and technologists. This wide representation of multiple stakeholders who all play a role in creating open textbooks is a great example of a systemic approach. Each stakeholder’s involvement in creating and using open textbooks is important but it is the cumulative effect of multiple stakeholders working together that creates the greatest impact. 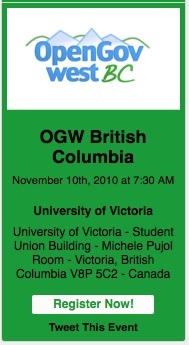 More about the BCcampus Open Textbook initiative can be found here. If you want to see examples of open textbooks start here. One of the great things about the BCcampus Open Textbook Summit was that it brought together not only multiple stakeholders but multiple regional open textbook initiatives. Representatives of open textbook initiatives in California, Oregon, Washington and beyond were all in attendance. This enables sharing and comparing of approaches and lessons learned not just from different stakeholders but from different regional system wide initiatives. Its fascinating, and informative, to hear about the BC open textbook initiative and compare it to the one in California, or Washington, or Oregon. Inevitably the adoption of open practices requires stakeholders to change current modes of operation, sometimes dramatically so. Change of this magnitude can be disruptive and may threaten traditional roles and responsibilities, business models, and financial structures. A natural reaction to such change is fear, risk aversion, and preference for the status quo. To generate movement and acceptance I’ve found it important to keep the focus on the shared goal, cause, or issue that open solves. In the case of open textbooks the shared goal is making education more accessible and affordable for students. Having a shared goal as the primary focus make business models, roles, modes of operation and the like secondary to the main goal. When the impetus and value associated with achieving the main goal are big enough, change happens, the system and stakeholders adapt, new models and modes of operation emerge. Adoption of open practices is best enabled when the value proposition of doing so is high. Open textbooks are one great example of a systems approach to open. Another example emerged for me in the context of leading an open models working group for the World Bank’s Global Food Safety Partnership (GFSP). 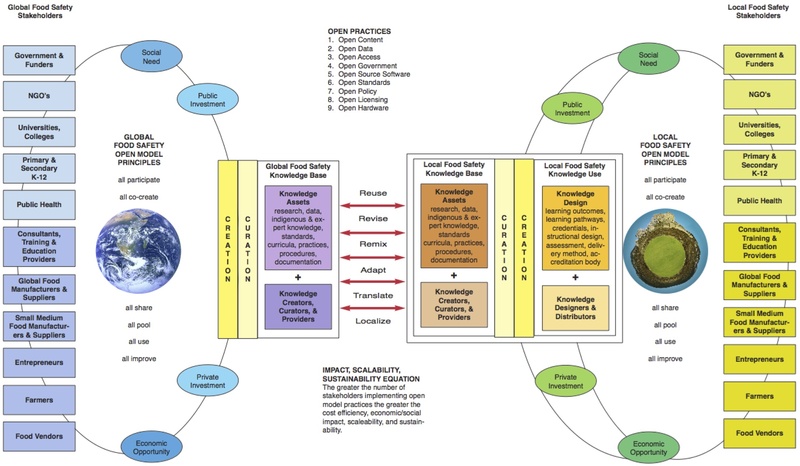 Our task was to generate a range of open models that enhance the scalability and sustainability of food safety. Our primary goal was to show how open practices can support GFSP’s efforts to help ensure safe food, increase food supply chain value, accelerate economic growth, alleviate rural poverty, and improve public health outcomes. This is the big picture goal the GFSP seeks to attain. Can adoption of open practices help the GFSP achieve this goal? If so, how? This suggests that a systems approach to open is required. 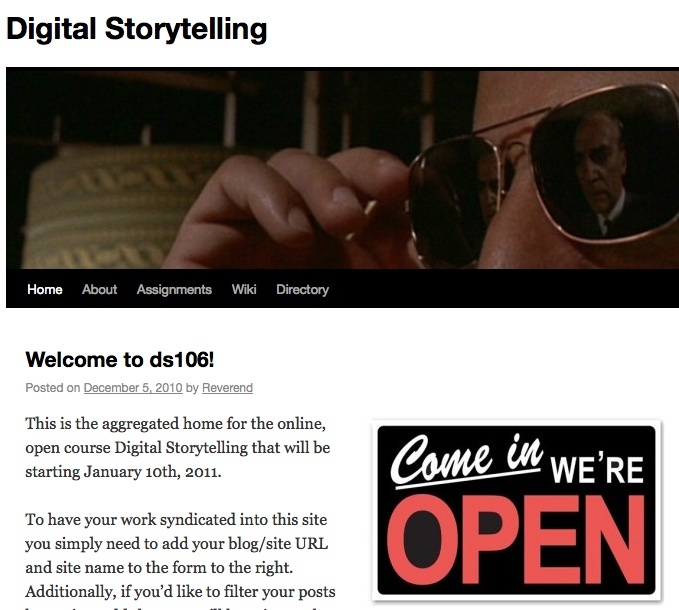 It won’t be enough for one stakeholder to adopt open practices. The goals of GFSP are too large for that to be impactful. Achieving the big goals of GFSP requires multi-stakeholder coordinated participation. One of the significant benefits of open practices is that they open up the opportunity for new stakeholders to get involved and participate. Food storage and cooking at home, the poor, the farmer, the food market seller, the street vendor, these uses and stakeholders are not well represented at the GFSP table. Adoption of open practices opens up the opportunity for them to be involved. If GFSP has a goal of alleviating rural poverty it is essential that they be engaged as active participants. A systems approach to open offers opportunities for information sharing, public participation, and collaboration. Multi-stakeholder adoption of open practices generates cumulative benefits for all stakeholders. In a systems approach to open the more stakeholders participating the greater the impact. Applying a systems approach to open for GFSP considers the role of each stakeholder and what open practices they could adopt that would contribute to the big picture goal GFSP is seeking to realize. Its not a one size fits all approach. Different stakeholders adopt different open practices. Government and funders might adopt open policy that require deliverables produced through the funds they provide to be openly licensed. Providers involved in generating food safety training and learning resources can publish their content as Open Educational Resources. There are many forms of open and a myriad of open practices can be brought to bear on a shared goal. open data – the US web site data.gov releases government open data.In 2012, a national annual competition was created as part of the Health Data Initiative to stimulate the innovative use of health data in apps and products. The “Health DataPalooza” is now a sold out event attended by over 2,000 health providers, technology developers, venture capitalists, entrepreneurs and community advocates and has resulted in the launch of new products and companies. OpenFDA, providing easy access to public data of the US Food and Drug Administration (FDA) and highlighting projects using these data, will be implemented in September of 2014.
open access (research) – There are a number of open access journals and online publications that provide free and open access to scholarly articles specific to food safety, foodborne illness, manufacturing and processing practices, etc. In 2007 the US National Institutes of Health enacted an open access policy requiring the researchers they fund to make their final, peer‐reviewed manuscripts publicly available no later than 12 months after official date of publication. The number of open access journals is rapidly increasing – the Directory of Open Access Journals lists over 9,000. The Public Library of Science (PLOS) and BioMed Central are two popular examples relevant to food safety. 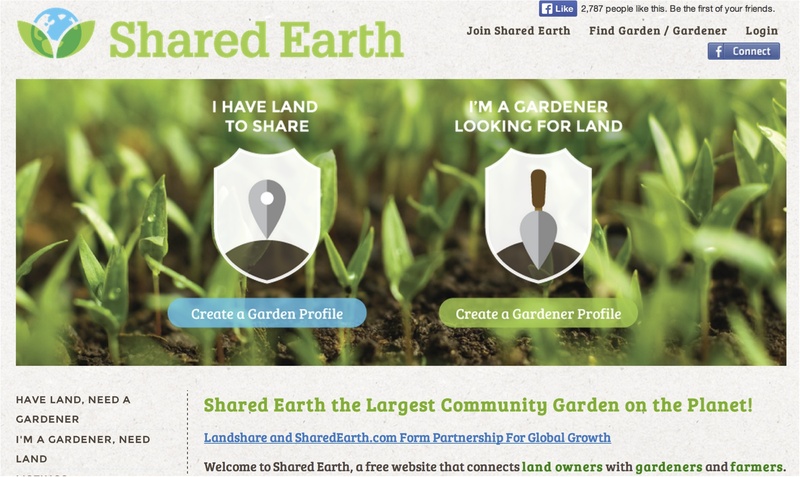 open hardware – See Open Source Ecology and Farm Hack for examples relevant to food production and food safety. Photosynq is an open research project whose goal is to create a low cost, hand-held measurement device which researchers, educators and citizen scientists can use to build a global database of plant health. A low cost mobile prototype has been developed to replace the large, expensive and stationary equipment that was previously required to measure photosynthesis. One of the challenges in open work is helping people understand the myriad forms of open and how they work. Defining open practices, along with associated value propositions and examples goes a long way to establishing a common lexicon and a tool box of methods that can be strategically deployed. All that and more is captured in the GFSP Open Models Concept paper. Feel free to read the whole thing if this interests you. I also want to express deep appreciation and thanks to Theresa Bernardo and Garin Fons who co-wrote this paper with me and to Chris Geith and the World Bank for the opportunity. Writing the GFSP Open Models paper led me to have a heightened interest in the use of open practices for food related issues. 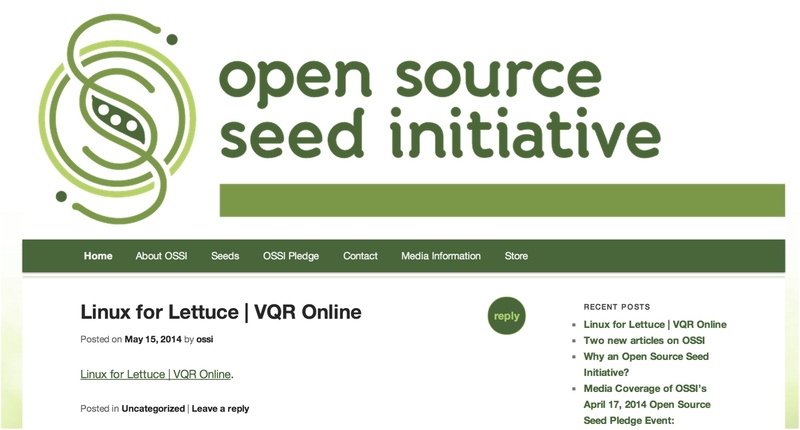 My colleague Puneet Kishor at Creative Commons shared with me another great example – the Open Source Seed Initiative. Linux for Lettuce and The Carrot Hack provide thoughtful coverage of this important development. I also recently finished reading Jeremy Rifkin’s book The Zero Marginal Cost Society (highly recommend) which contains a few other fascinating examples including Shared Earth connecting land owners with gardeners and farmers, and HerbShare which is fundraising to develop online, searchable community maps of fresh herbs available for sharing. A systems approach to open combines a wide range of open practices across multiple stakeholders and applies them to a shared common goal. It’s exciting work that not only accomplishes short term goals but sets in place a process that can scale, iterate, and sustain over the long term.